If The Knife distills Sweden’s winter into icy electric beats, then First Aid Kit must be a glimpse of what their homeland feels like in the sun. Gorgeous lilting harmonies hover over fingerpicked acoustic guitars in this luminous breed of folk. Their cover of Fever Ray’s “When I Grow Up” is a stunning track that perhaps surpasses the original. The original tracks are full of yearning beyond their years, evocative of the likes of Joanna Newsom and Neko Case. These winsome Swedish sisters recorded a Daytrotter session last month which can be streamed or downloaded here. 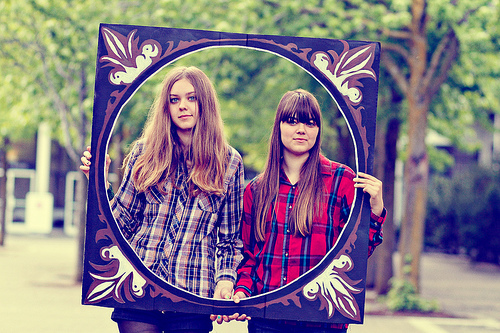 First Aid Kit will headline Lincoln Hall this Wednesday, October 13. Lionlimb and Ferraby Lionheart will also be playing the show, which is 18 and over and starts at 9 p.m. Tickets are $15 and can be purchased in advance here. Listen to “When I Grow Up” below.